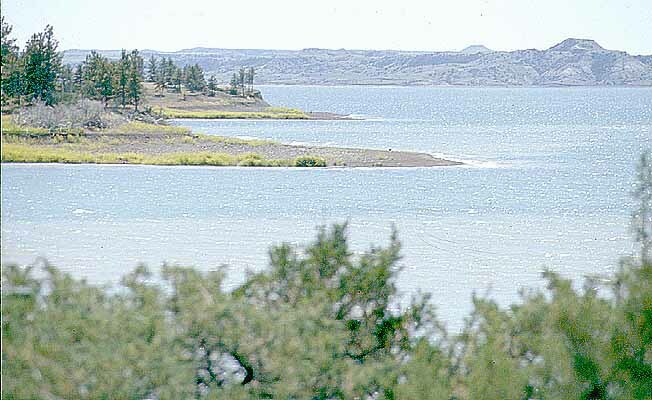 The Pines Camping Area is a popular area on Fort Peck Lake. Access to the Pines is between Fort Peck and Glasgow, Montana. This primitive campground has interpretive signage, several designated campsites with picnic tables, picnic shelters, playground and campfire rings. Amenities include a boat ramp, vault toilets, a fish cleaning station and a shade shelter. Enjoy boating, fishing and wildlife viewing at this scenic location. Access to the Pines Campground is northwest of Fort Peck approximately 4 miles on Highway 24 from the west entrance of Fort Peck Lake near the Gateway Inn. Turn west on Maxness Road and travel approximately 3.5 miles until this road meets up with the Willow Creek road. Travel the Willow Creek Road for approximately 12 miles. Turn left or southeast on country road with the Pines sign for another 12 miles.